Boatshed Riviera are proud to announce the exclusive sole agency to represent this Fairline Squadron 68. 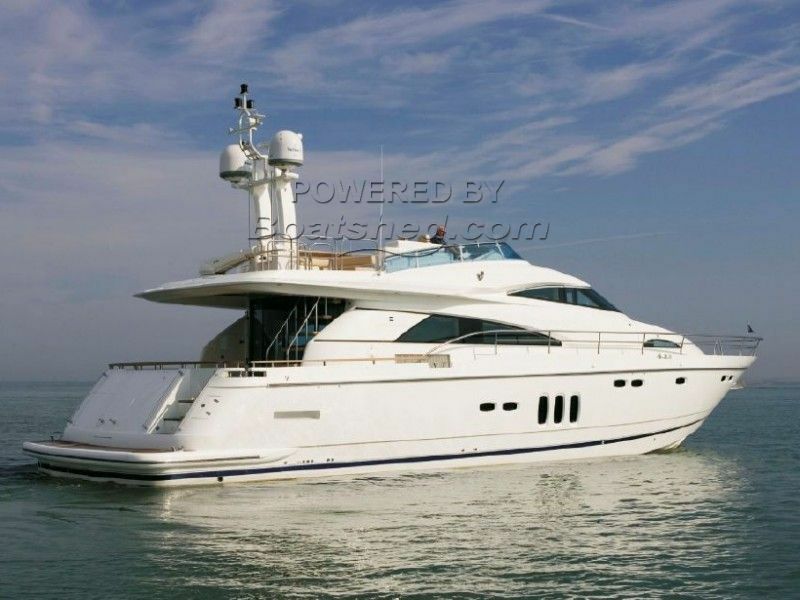 This stunning vessel was previously owned by a business television personality and has been meticulously captain and crew maintained. With her generous headroom, luxurious appointments and free standing furniture, she really gives the feel of being a large yacht. The main saloon is exceptional, it is elegantly furnished with exquisite fabrics, superb sideboards and home cinema surround sound. Accessed from the main saloon, the dining room features a free standing dining table and the galley is comprehensively appointed including full size fridge and dishwasher. The full width master state room is incredibly spacious and benefits from triple portrait portholes and en-suite facilities which includes a shower with body jets, a dressing room with full height hanging. The Flybridge features include a BBQ griddle, fridge, sink and ice-maker, as well as an excellent sound system which extends to every part of the boat. Her list of extras is enormous, including audio base 321 upgrade in the master cabin, audio upgrade cabin pack, 37 inch TV in saloon, teak upgrade to Flybridge and side decks, Williams 325 jet RIB, KVH M7 satellite system, Ipod sockets throughout, CCTV cameras to engine room, 180L/hour Idromar water maker, Raymarine lifetag system, electric Recaro pilote and companion seats, electrically adjusted. This Fairline Squadron 68 has been personally photographed and viewed by Edward Kay of Boatshed Riviera. Click here for contact details.